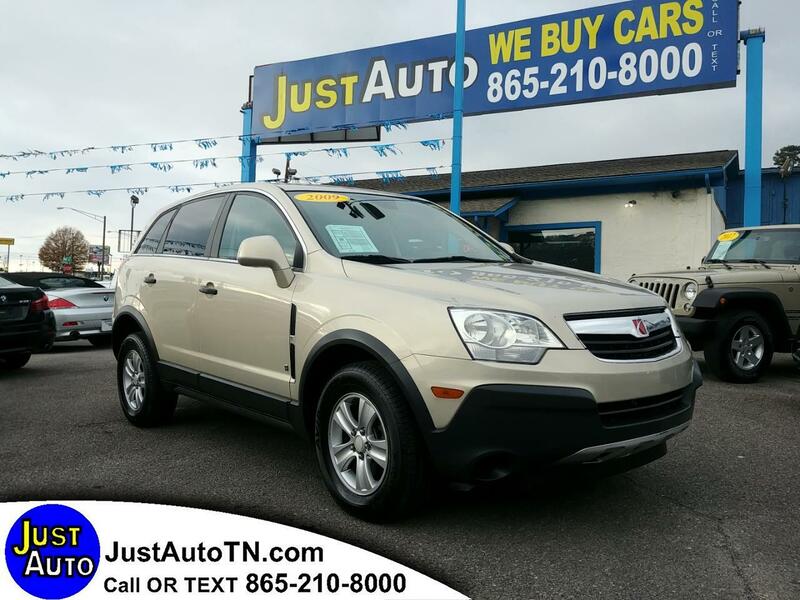 2009 Saturn Vue 4D Sport Utility 4-Cyl. Automatic. ABS Brakes, Air Conditioning, Alloy Wheels, AM/FM Stereo, Automatic Transmission, Auxiliary Audio Input, CD Audio, Cloth Seats, Cruise Control, Overhead Airbags, Power Locks, Power Mirrors, Power Windows, Rear Defroster, Satellite Radio Ready, Side Airbags, Traction Control. Call or text 865-210-8000 . We are here Monday through Saturday 10 to 6 p.m. . We Finance all types of credit.